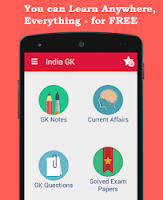 Current Affairs MCQs of 19, 20 August 2015 Quiz: Current Affairs Daily Multiple Choice Questions (MCQs) for India GK, World GK and current affairs with Collection of daily objective type Question by www.Indiagk.net based on General Knowledge (GK) and General Science (GS) Questions for UPSC, State PSC, SSC, Police exam, Railway exam, SBI, Bank PO, IBPC, SSC, LDC, UDC, Army, Airforce, Navy, Coast Guard, Bank Clerk, TET and all entrance examination with current affairs News, Multiple Choice Questions (MCQs) available on Website www.IndiaGK.net and Android Apps with daily updates:. NASA spacecraft recently finds which gas in Moon's atmosphere ? Paravoor Bharathan who died on 19th August is associated with ? Who becomes first Indian woman to play in English League Football ? Who is appointed New Chief of IDBI Bank ? Reserve Bank of India (RBI) on gave approval to 11 applicants for payments banks. Which is NOT among this list ? Prasar Bharti and which company signs MoU recently for joint TV Programme cooperation ? Who is appointed New Chairman and Managing Director (CMD) of Air India on 20th August 2015 ? Which Government launched RISHTA project, to promote LEDs in state ? India has signed MoU with which country recently for technical cooperation in Railway Sector? Sadbhavna Divas on birth anniversary of Rajiv Gandhi is observed on ?